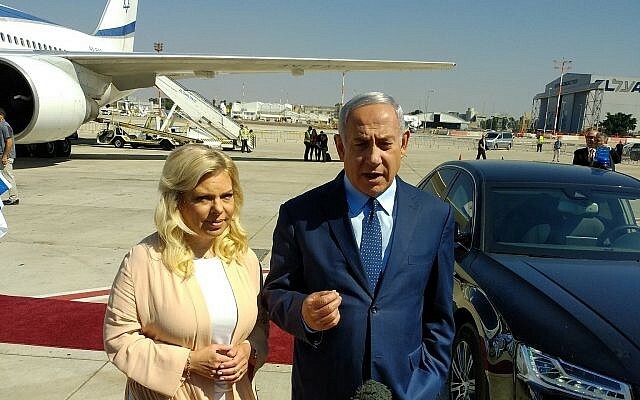 Prime Minister Benjamin Netanyahu has instructed government ministers not to publicly discuss the downing of a Russian reconnaissance plane by Syrian air defenses during an Israeli strike in Syria that has led to strained ties between Jerusalem and Moscow, Hadashot TV news reports. 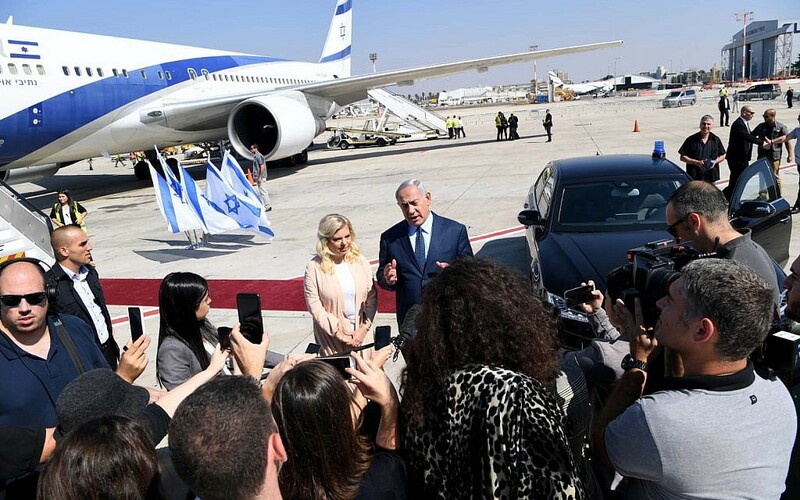 The network said the directive was given by Netanyahu during a security cabinet meeting today on the latest developments stemming from last week’s incident on relations with Russia. 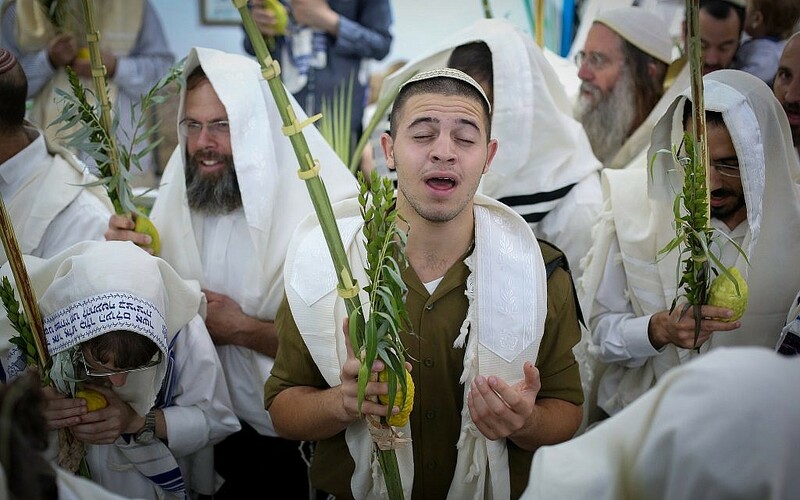 Russia has blamed Israeli actions for the downing of the plane, in which 15 Russian serviceman were killed. The Israel Defense Forces has maintained the plane was shot down due to indiscriminate Syrian anti-aircraft fire and vowed to continue targeting Iranian weapons shipments in Syria. The security cabinet meeting came a day after Russia announced it would supply Syria with the advanced S-300 anti-aircraft battery in the wake of the shooting down of its plane, a move condemned by both Israel and the United States. 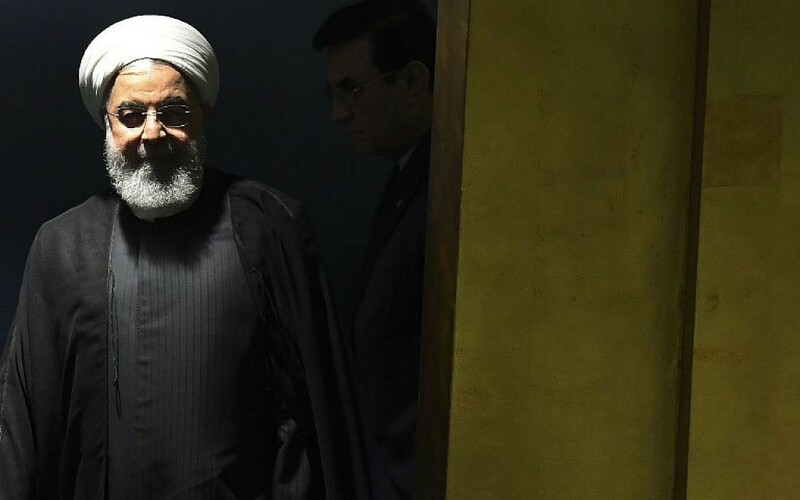 DUBAI, United Arab Emirates — Bahrain’s attorney general charges nearly 170 people on Tuesday with forming a Shiite organization named for Lebanon’s famed terrorist group Hezbollah. The small but strategic Gulf Arab kingdom has been dogged by persistent low-level violence since 2011, when its Sunni minority rulers bloodily suppressed Shiite-led protests for a constitutional monarchy with an elected prime minister. The authorities have repeatedly accused Shiite Iran and its allies, including Hezbollah, of fomenting the unrest. Iran denies the charge. Attorney general Ahmad al-Hamadi says 169 people, 111 of whom are in custody, will be tried for “forming a terrorist organization… under the name Bahrain Hezbollah” in collaboration with the Iranian intelligence services. Hamadi doesn’t specify when the trial would open or when the defendants had been arrested. But he says some of them were accused of traveling abroad to receive training in weapons and explosives from Iran and its regional allies. Analysts have expressed skepticism about previous Bahraini allegations of Iranian and Hezbollah involvement. Hezbollah is one of the best trained and equipped terrorist groups in the world, while most of the Bahrain violence has consisted of throwing stones and firebombs at police patrols or planting crude pipe bombs. US President Donald Trump says he has “no plans” to meet with Iranian President Hassan Rouhani during this year’s UN General Assembly. Trump, who has taken a hawkish stance on Iran and reimposed sanctions on the country as part of his withdrawal from the 2015 nuclear deal, has previously said he is open to meeting Rouhani without preconditions, an offer rejected by Iranian leaders. Israel will continue to act to prevent Iran from entrenching itself militarily in Syria, Prime Minister Benjamin Netanyahu says Tuesday afternoon, minutes after concluding a security cabinet meeting dealing with the diplomatic crisis with Russia over last week’s downing of a Russian spy plane by Syrian air defense missiles. “We will do whatever is necessary to protect Israel’s security,” he says. In the three years since Jerusalem and Moscow agreed to establish a so-called deconfliction mechanism to avoid clashes over Syrian skies, Israel has been “very successful” in thwarting the Islamic Republic’s effort to entrench itself in Syria, Netanyahu says. “That doesn’t mean there weren’t exceptions, but by in large it has been a very great success,” he adds. Netanyahu says that he and Putin agreed the Russian and Israeli military officials will meet soon to discuss the continuation of the deconfliction mechanism. After meeting this morning to discuss the latest developments pertaining to the downing of a Russian reconnaissance plane during an Israeli strike in Syria last week, the security cabinet blames the incident on the “irresponsible actions” of the Syrian military. “The cabinet instructs the IDF to continue to act against Iran’s military entrenchment efforts in Syria while continuing security coordination with Russia,” the security cabinet says in a statement. The Russian aircraft was shot down by Syrian anti-aircraft fire after the IDF targeted what it said was a facility in the coastal city of Latakia used to provide Hezbollah and other Iranian-backed groups with advanced arms. Russia has blamed the downing of the plane on Israeli actions, charges rejected by Israel. 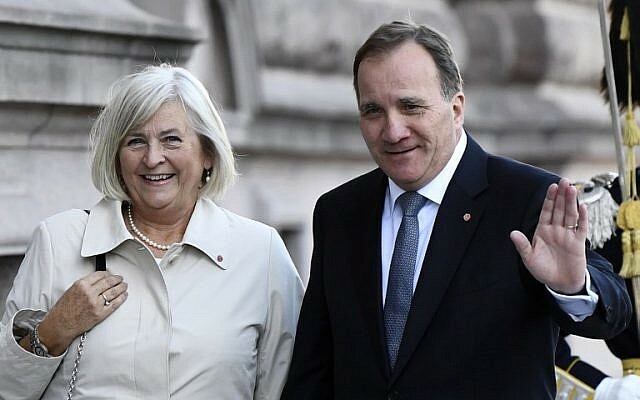 STOCKHOLM — Sweden’s center-right opposition and the far-right oust Prime Minister Stefan Lofven in a vote of no-confidence on Tuesday, as the left and right blocs wrangle over who can form a new government after neither won a majority in September 9 elections. Lofven’s departure was widely anticipated. The head of the opposition four-party Alliance, Ulf Kristersson, has since election night insisted that he intends to try to form a government. 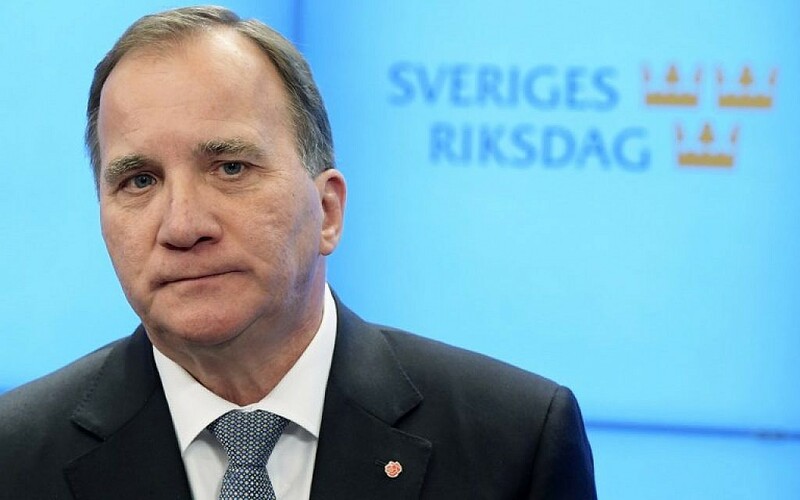 After his ouster, Lofven issues a stark warning to the Alliance about cooperating with the far-right Sweden Democrats. “If the Alliance chooses to govern as the smaller bloc they will be totally dependent on the Sweden Democrats,” he says. “The Sweden Democrats were founded by neo-Nazi members of the Swedish white supremacy movement. They have repeatedly been found to have ties to racist and neo-Nazi organisations,” Lofven adda. “But we will bring down any attempt to form a government that does not give us any influence,” the party’s leader Jimmie Akesson warns. GAZA CITY, Gaza Strip — A senior Hamas member denies that Egyptian-brokered talks on reconciliation with the Palestinian Authority and a lasting truce with Israel have collapsed, but admits progress is slow. “The efforts of our Egyptian brothers continue on the file of Palestinian reconciliation and the calm with the (Israeli) occupation,” spokesman Sami Abu Zuhri tells AFP. Egypt has for months been seeking to broker two separate deals. One would bring Hamas and PA President Mahmoud Abbas’s secular Fatah party together a decade after a bloody split, and another would see a lasting truce between Hamas and Israel in exchange for a loosening of the Jewish state’s blockade of the Gaza Strip. UN officials have also been involved in the indirect discussions between Gaza’s terrorist rulers Hamas and Israel, which have fought three wars since 2008. Abu Zuhri accuses Fatah of obstructing the talks, while Fatah has accused Hamas of being intransigent. 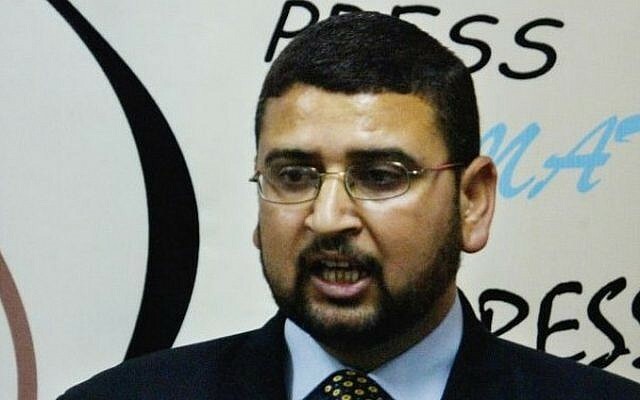 A senior Hamas leader tells AFP Tuesday that a delegation would visit Cairo to continue negotiations in the coming days. An Egyptian security delegation traveled to Gaza for a few hours on Saturday for a visit that included a meeting with Hamas leader Ismail Haniyeh. BEIRUT — Lebanon’s parliament ratifies the international Arms Trade Treaty, angering Hezbollah legislators, some of whom walk out in protest. Unlike other armed groups, Hezbollah was allowed to keep its weapons after Lebanon’s 15-year civil war ended in 1990 since it was fighting Israeli forces in parts of southern Lebanon. Hezbollah today has a massive arsenal including tens of thousands of rockets and missiles. The group sent thousands of its fighters to Syria to fight along President Bashar Assad’s forces. Prime Minister designate Saad Hariri says after the treaty was approved that it has nothing to do with Hezbollah’s weapons. A suspicious object found near a mall in the northern city of Haifa was an explosive device, according to police, who say the incident was criminal in nature. Police evacuate the area where the explosive was found and remove it. An investigation has been opened, police say. “Universal values are being eroded, democratic values are under siege and the rule of law is being undermined,” he says. Since this morning, firefighters have worked to extinguish seven blazes caused by incendiary balloons near Israeli towns along the Gaza Strip, a spokesman for the Fire and Rescue Services says. BERLIN — A German appeals court upholds a ruling that Kuwait’s national airline did not have to transport an Israeli citizen because of Kuwait’s boycott of Israel. The Israeli man had sued the airline after he booked a flight from Frankfurt to Bangkok with a stopover in Kuwait City. Kuwait Airways canceled his booking when he revealed he had an Israeli passport and offered to book him on another airline. The Frankfurt state court calls the boycott “unacceptable” but says Tuesday it meant the Israeli man would not have been able to enter the transit area of Kuwait City airport, so the airline could not have fulfilled its contract. It dismisses as “irrelevant,” however, the airline’s fear of legal repercussions at home, saying Kuwait’s boycott has no legal standing in Germany. 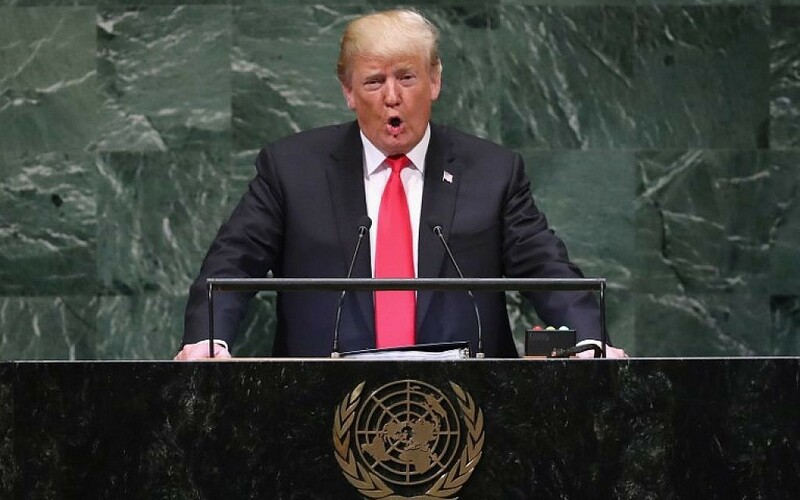 Shortly before his speech at the United Nations General Assembly, US President Donald Trump says the United States is “much stronger and much richer” since he took office. “We are also MUCH safer,” Trump writes on Twitter. UNITED NATIONS — Germany’s foreign minister is warning that too much pressure on Iran might lead Tehran to resume its military nuclear program and destabilize the entire Middle East. Heiko Maas tells reporters in New York on Tuesday that three European Union countries, Russia and China agreed overnight to try to maintain the 2015 nuclear deal with Iran despite the US pullout. Maas says, “There was great unanimity among those involved that we want to keep this deal alive, that we want to soften the consequences resulting from US sanctions.” He says this includes facilitating payments for Iran’s exports. “It will happen. I believe they have no choice,” he tells reporters. Trump also says he is setting up a second meeting with North Korean leader Kim Jong Un. Trump says many countries supported his decision to pull out of the 2015 agreement meant to limit the Iranian nuclear program and reimpose sanctions on Iran. He says the deal was a windfall for Iranian leaders, who he charges used the sanctions relief to vastly boost Iran’s military budget. “We cannot allow the world’s leading sponsor of terrorism to possess the planet’s most dangerous weapons,” he says in a speech at the UN General Assembly. “We ask all nations to isolate Iran’s regime as long as its aggression continues,” he adds. Speaking at the UN General Assembly, Trump touts his decision to recognize Jerusalem as Israel’s capital and move the US embassy there. “I moved the US embassy in Israel to Jerusalem. The United States is committed to a future of peace and stability in the region, including peace between the Israelis and Palestinians,” he says. “That aim is advanced, not harmed, by acknowledging the obvious facts,” Trump adds. Trump defends the US decision to withdraw from the Human Rights Council and says it won’t return unless “a real reform is enacted.” He also says “as far as the US is concerned, the ICC has no jurisdiction, no legitimacy. “We will not surrender to unelected, unaccountable global bureaucracy. We reject the doctrine of globalism and embrace the doctrine of patriotism,” he says. Danny Danon, Israel’s envoy to the UN, praises US President Donald Trump for his tough speech to the General Assembly on Iran and thanks him for standing up for Israel at the United Nations. “The president proves again that the US is on the right side of history,” Danon says in a statement just moments after Trump finishes speaking. 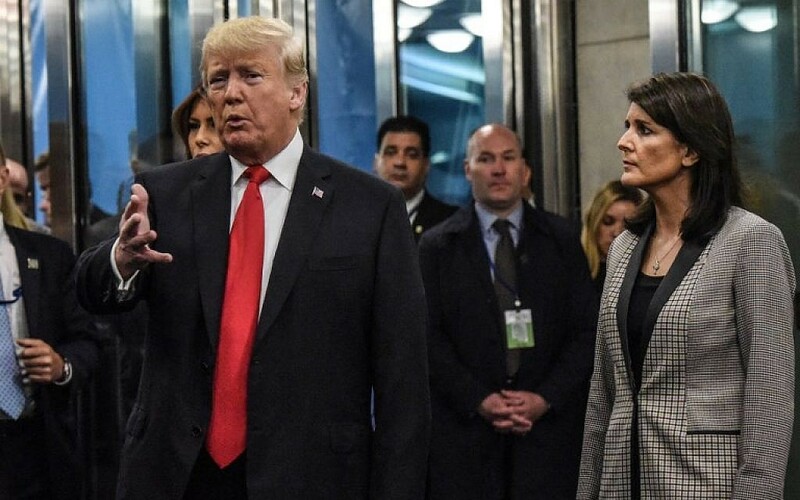 “While standing on the side of Israel in the struggle for stability in the Middle East, the United States leads the United Nations into a new era that ends its obsession with Israel, and pushes back against the Iranian regime,” he adds. 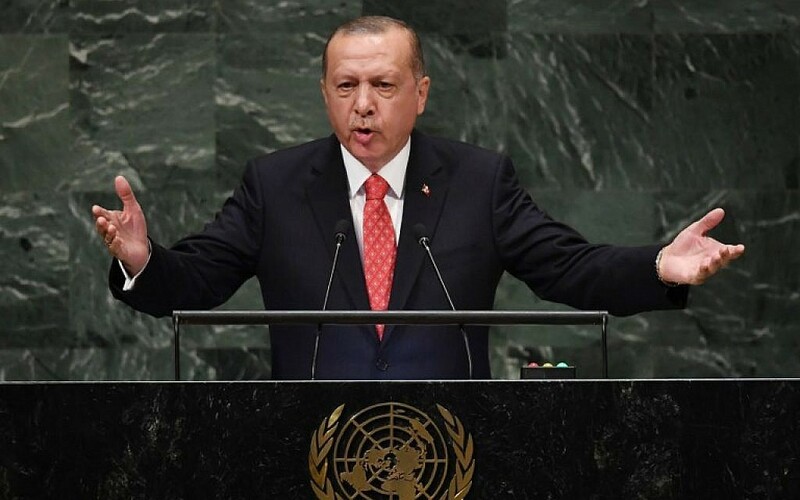 Turkish President Recep Tayyip Erdogan accuses the UN Security Council of “standing idle” to the “massacre” of Palestinians. 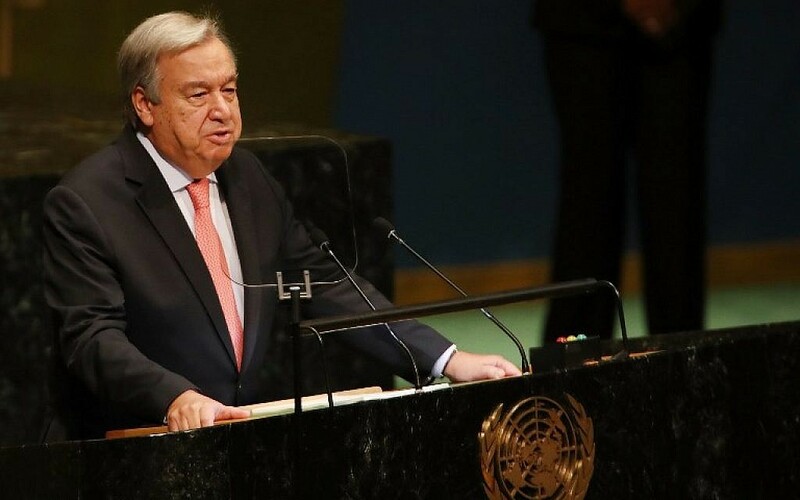 “The massacres in Bosnia, Rwanda, Somalia, recently in Myanmar and in Palestine as we speak have all taken place before the eyes of the United Nations Security Council,” he says in a speech to the UN General Assembly. Though he doesn’t name the United States, Erdogan decries recent aid cuts to the Palestinians by the Trump administration. “Those who remain silent against the oppression of the Palestinians, who reduce the humanitarian assistance to them, are only increasing the courage of the oppressors,” Erdogan says. “Even if the whole world turns its back, we, Turkey, will continue to be on the side of the oppressed Palestinians and will protect the historical and legal status of… Jerusalem,” he adds. The top Palestinian peace negotiator says Donald Trump has “closed the doors to peace,” pointing to the US president’s remark in his speech to the UN General Assembly that recognizing Jerusalem as Israel’s capital was an acknowledgement of “obvious facts” as why the US shouldn’t have a role in the Israeli-Palestinian peace process. “Rather, what his administration did, and continues to do, is to reward and incentive violations of international law, colonization, war crimes, and apartheid,” Saeb Erekat says in a statement. “The reality today is that due to the one-sided pro-Israel decisions of the US administration, peace between Palestinians and Israelis have been derailed,” he adds. 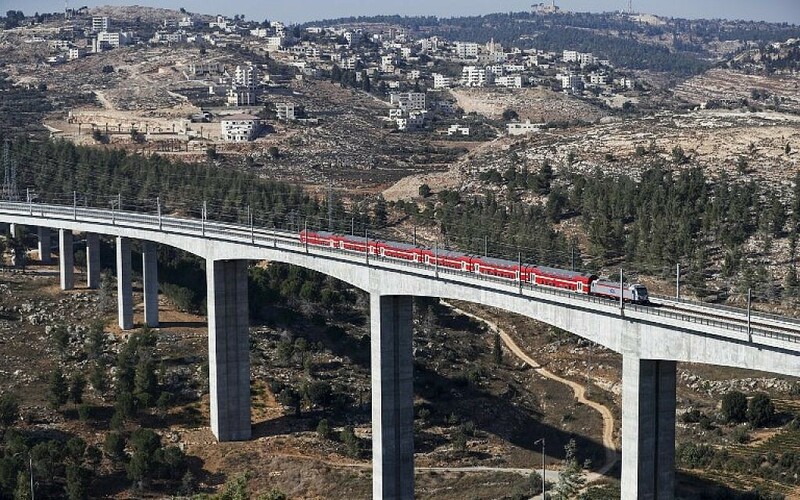 Erekat says peace is a “real need” for both Palestinians and Israelis and calls for reaching a two-state solution based on the so-called 1967 borders with a Palestinian capital in East Jerusalem. Jeremy Ben-Ami, head of the dovish lobby group, accuses the Trump administration of leading the US “down a path towards armed conflict with Iran” and calls on Congress to prevent a “disastrous new war of choice” in the region. He also bashes Trump’s positions on the Iran nuclear deal and the Israeli-Palestinian conflict. “The president is advancing the dangerous agenda of his war cabinet and far-right political backers, while jeopardizing the interests and security of both the US and Israel,” Ben-Ami says in a statement. Since this morning, firefighters have worked to extinguish 12 blazes near Israeli towns close to the Gaza Strip caused by incendiary balloons launched from the coastal enclave, a spokesman for the Fire and Rescue Services says. 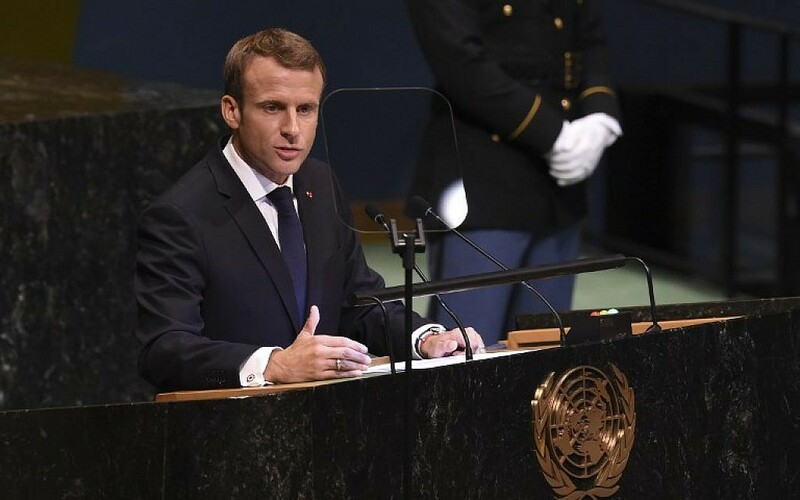 French President Emmanuel Macron addresses the Israeli-Palestinian conflict in his speech to the UN General Assembly, taking an apparent shot at the Trump administration for its “unilateral initiatives” to reach a solution. “What can resolve the crisis between Israel and Palestine? Well, surely not unilateral initiatives. Nor trampling upon the legitimate rights of the Palestinian people to legitimate peace, nor underestimating Israel’s fair right to security,” Macron says. He says there is “no credible alternative” to a two-state solution with both peoples “living side by side in peace and security” with Jerusalem as the capital of Israel and a Palestinian state. He also calls for Israel to end unnamed policies he says undermine the possibility of reaching a peace deal. “Israel is aware that France has unwavering friendship toward Israel and it is in the name of this friendship that I call for an end to policies that undermine the very possibility of a peace agreement. Continuing along this path would be a mistake,” Macron says. Defense Minister Avigdor Liberman is hailing Donald Trump’s speech to the UN General Assembly and says it has been some time since there has been a world leader who understands the Middle East as well as the US president. “We saw an impressive speech today by United States President Donald Trump at the club of hypocrites and sycophants called the ‘United Nations,'” Liberman writes in a Tweet. “For years there has not been a leader on the world state that understands the Middle East, deals with the Iranian threat and lays down red lines for [Syria’s Bashar] Assad,” he adds. Liberman concludes his tweet by saying he hopes world leaders “will listen and internalize” Trump’s speech. UNITED NATIONS — French President Emmanuel Macron calls Tuesday for “dialogue and multilateralism” on Iran, in a thinly veiled response to President Donald Trump’s push for tough, US-led sanctions. 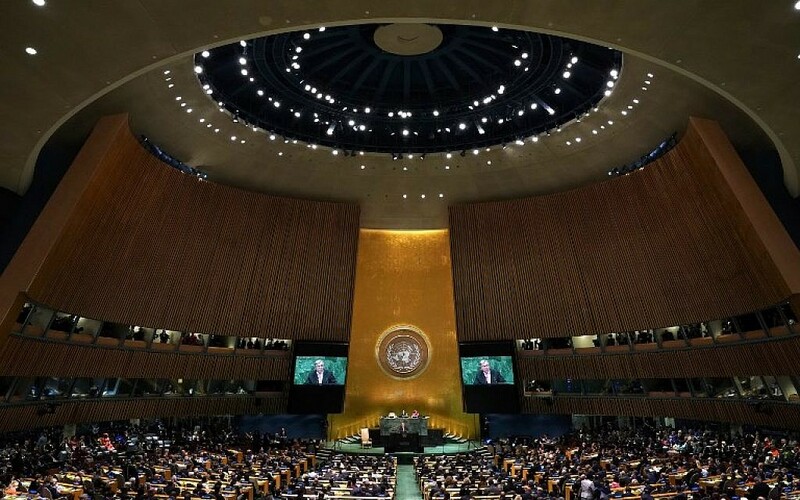 Speaking at the UN General Assembly shortly after Trump, the French leader credits the 2015 accord rejected by Trump with curbing the Iran’s nuclear program. “What will bring a real solution to the situation in Iran and what has already stabilized it? The law of the strongest? Pressure from only one side? No!” Macron says. “We know that Iran was on a nuclear military path but what stopped it? The 2015 Vienna accord,” he says. Trump has withdrawn from the seven-nation agreement negotiated under his predecessor Barack Obama, calling it a “disaster” and instead ramping up pressure on Iran including through renewed sanctions. Supported by Israel and Saudi Arabia, Trump has sought to roll back Iranian influence around the Middle East including in war-ravaged Syria. RIYADH, Saudi Arabia — Saudi Arabia rejects accusations by Iran that it was behind last week’s deadly attack on a military parade in the southwestern Iranian city of Ahvaz, state media reports Tuesday. “The kingdom completely rejects the deplorable false accusations by Iranian officials regarding the kingdom’s support for the incidents that occurred in Iran,” the official Saudi Press Agency quotes a foreign ministry official saying. “The kingdom of Saudi Arabia’s policy is clear regarding its non-interference in the domestic affairs of other countries,” the official says. On Monday, Iran’s Supreme Leader Ayatollah Ali Khamenei charged that gunmen who killed 24 people at the military parade were funded by Saudi Arabia and the United Arab Emirates. 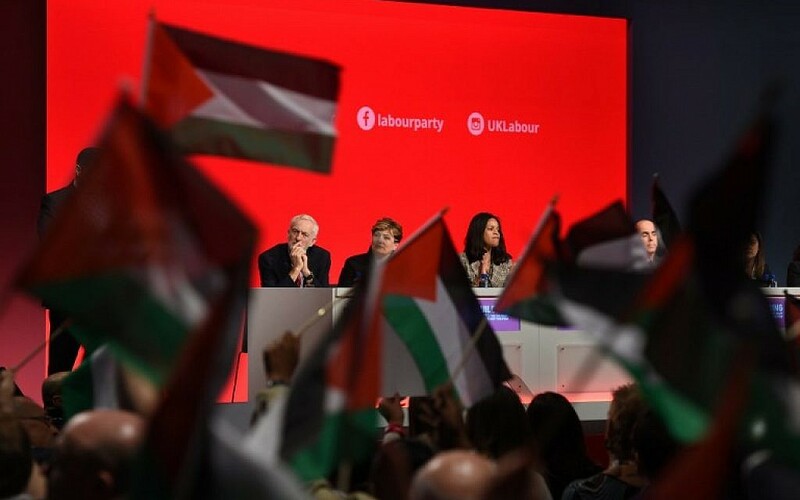 LONDON — Britain’s main opposition Labour Party passes a motion strongly criticizing Israel, as a senior lawmaker warns the party must root out anti-Semitism. Delegates at the party’s conference vote Tuesday to criticize Israel’s use of force during clashes in Gaza, urge more UK funding for the UN agency for Palestinians, and back a freeze on British arms sales to Israel. The vote comes after a heated debate that saw Palestinian flags waved in the convention hall. 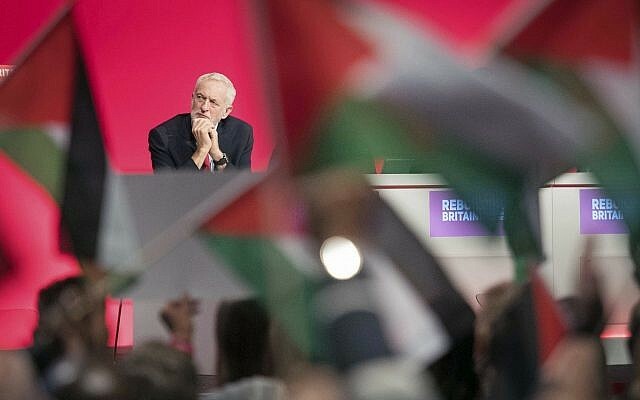 Labour has been riven by allegations that the party has become hostile to Jews under leader Jeremy Corbyn, a longtime supporter of Palestinians. Jordan’s King Abdullah II calls for collective action to solve conflicts across the Middle East, singling out the “long denial of a Palestinian state” as the “key crisis” in the region. “This is the heart of a two-state settlement. The only path to a comprehensive lasting peace,” he says. “How can we accept a status quo of continuing crises and bigotry,” he says. He also says the UN’s agency for Palestinian refugees must be fully funded. The Trump administration cut funding to UNRWA last month. Iran’s President Hassan Rouhani addresses the UN General Assembly, beginning his speech by railing against the Trump administration. “The government of the United States of America, at least the current administration, seems determined to render all international institutions ineffectual,” he says. Rouhani rejects Trump’s offer to hold bilateral talks. “On what basis and criteria can we enter into an agreement with an administration misbehaving such as this?” says Rouhani. He goes on to charge the US with plotting regime change in Iran. “It is ironic that the US government doesn’t even conceal its plan for overthrowing the same government it invites to talks,” he says. Iranian President Hassan Rouhani defends the nuclear deal meant to limit Iran’s nuclear program and decries sanctions imposed by the Trump administration as part of its pullout from the accord. “Unlawful unilateral sanctions in themselves constitute a form of economic terrorism,” he tells the UN General Assembly. Iran’s President Hassan Rouhani calls the Israeli-Palestinian conflict the “most pressing crisis” in the Middle East and claims the Jewish state is the greatest threat to world peace. “The innumerable crimes of Israel against the Palestinians would not have been possible without the political and military assistance” of the US,” he charges in a speech to the UN General Assembly.